Allusion is one of many stylistic devices you can use in your writing. Learning to use these writing techniques can help your writing become more interesting and engaging. 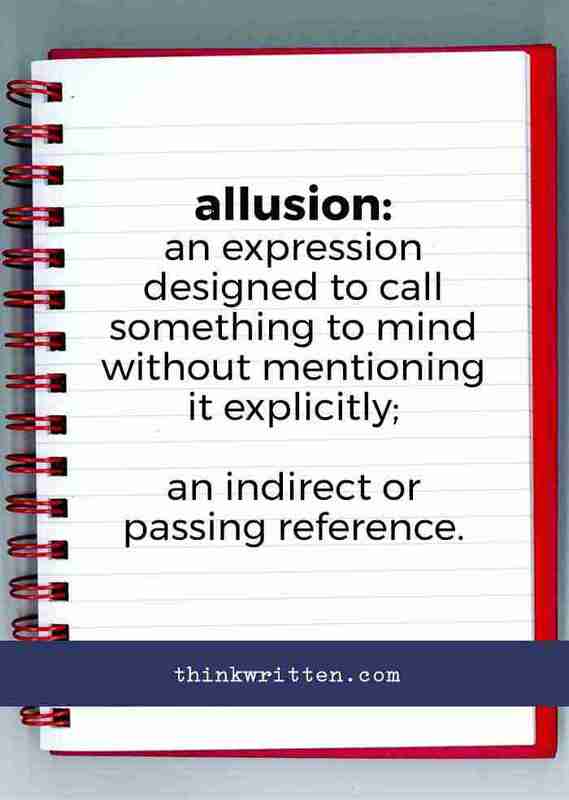 Today we’ll take a look at understanding the definition of allusion along with some of the ways you can use it your writing. Allusion is an implied or indirect reference to a person, place, event or circumstance in your writing. With allusion you don’t ever specifically say what the reference may be. Instead, you hint or suggest at what you may be referencing. When we use allusion in our writing, we may hint at something or casually mention something, but we never go into details or specifics. Instead, we leave it up to the readers to make a connection to the implied reference. allusion: an expression designed to call something to mind without mentioning it explicitly; an indirect or passing reference. Some of the synonyms for allusion are: to reference, mention of, suggestion of, remark on, hint to, imitation of, comment about. The best way to understand this technique is to look at some different examples of allusion. The best way to really understand allusion is to look at different examples of how it is used. This stylistic device has been used as a writing technique in books, news articles, and even speeches. In fact, one of the most famous examples is a speech by Martin Luther King, Jr., delivered at the March on Washington in 1963. 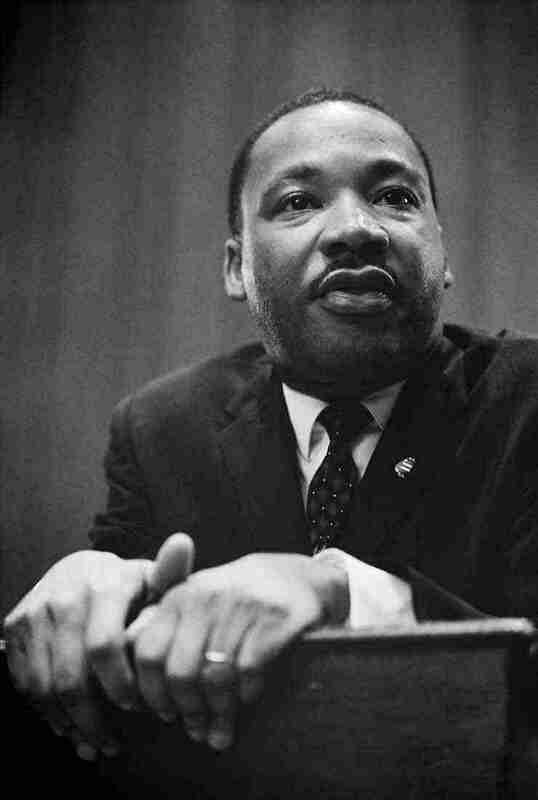 Famous Allusion Example: I Have a Dream by Martin Luther King, Jr. The use of “Five-Score years ago” in the first sentence alludes to another popular speech by President Abraham Lincoln nearly 100 years earlier. Lincoln’s speech The Gettysburg Address was an important speech during the time of The Civil War and the abolition of slavery. In the speech, it is a reference to Lincoln, but does not directly say this. This use of this technique makes the speech all that much more powerful. Another popular example may be the use of the phrase, “Bah, Humbug!”, alluding to the famous book A Christmas Carol by Charles Dickens. This is often used to suggest or imply someone does not have much of the “Christmas spirit” and is a grouch during the holidays. Many people often reference Shakespeare in their writing. For example, in Romeo and Juliet, Romeo was actually courting a different person before falling madly and deeply in love with Juliet. Calling someone a Romeo often suggests they are passionate for multiple women. Disney often also has many examples of making subtle references in many different movies. For example, King Triton in The Little Mermaid closely resembles Poseidon. This is an example of how a writer might use allusion in character development. By creating a reference for your characters to a person of history or significance, it’s easier for readers to relate to the character. Readers may already have some familiarity with the character you are referencing to. When you reference another character, it is easier for the reader to associate with the character. Often times, writers reference biblical or mythological characters. The Bible is a very common work that many writers allude to. One example is the fairy tale Snow White. Have you ever wondered why the evil queen in Snow White tries to trick Snow White with an apple? This is a Biblical reference of the story of Adam and Eve, where Eve is tricked by the snake in the garden to eat an apple. Of course, not all examples of allusion are as famous or easy to spot. Many times we use this literary device and may not even be aware we are using it! In every day situations, we often may allude to something without actually ever saying it. Asking someone “Was traffic bad?” could be an example of indirectly asking why someone is running late. This can be a very powerful technique when you are writing a novel. In fiction, it is an excellent way to show, not tell in your writing. 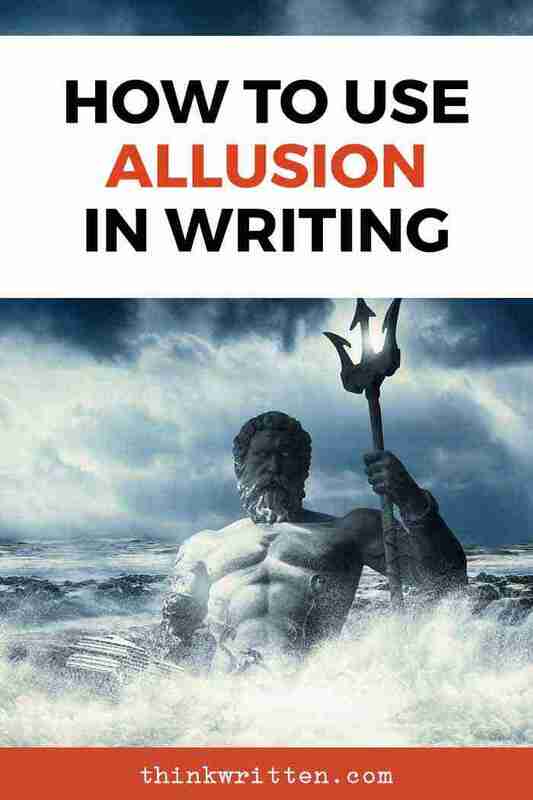 If you write any type of mystery or crime thriller novels, allusion may help the audience piece together the story while they read. Allusion has many practical applications. Whether you are writing a novel or writing an editorial news article, there actually are a lot of benefits to using this literary style in your writing! 1. Stronger Connection to Your Audience: When your audience is able to catch a reference you make, they will automatically feel connected to a greater sense of you as a writer, your characters, and even an entire community or culture. 2. It Builds Authority and Trust: When you refer to something indirectly that is common about a certain topic or industry, it can show to your audience that you are knowledgable and experienced. Being able to suggest different references shows familiarity with a topic. 3. Add Meaning and Symbolism: Using indirect hints in your writing can help give your work added meaning and symbolism. In the Martin Luther King example we shared above, alluding to The Gettysburg Address makes the work all that more powerful. 4. Works for a Variety of Writing Styles: This type of literary device can be used for almost any type of writing style. If you are writing a news opinion piece, allusion can help connect your readers to a greater cause. If you are writing a descriptive essay, the use of allusion can help your readers better visualize the scene. Allusion can also work very well for comedy – many comedic pieces rely on subtle suggestions for the audience to notice. 5. Show, Don’t Tell: One of the biggest pieces of writing advice is “show, don’t tell”. This means you want to allow your readers to feel and visualize the scene – not tell them exactly what is happening. It takes some practice to master this skill, and writing with allusion is a great way to achieve this. As you can see, writing with this technique can really have a lot of benefits! One of the best ways to become a better writer is with creative writing exercises. The more you practice, the easier it is to naturally use these different literary stylistic devices. In fact, you may find yourself using these techniques without even realizing it! To practice writing, one easy way is to take something you have already written. Go through the piece and start thinking of any associations you may think of while you read. For example, if you are writing a scene about baseball, you could start thinking about different baseball players you could reference: Babe Ruth, Jackie Robinson, or Hank Aaron. This is also a great technique to practice when writing poetry. You could easily take many of our 100+ poetry writing prompts and use these as a starting point to practice the art of subtle suggestion and reference in your writing! What Are Your Thoughts on Using Allusion in Writing? Have you tried using this technique in your own writing? What famous allusion reference examples in literature have you spotted? Do you have any questions or experiences to share? We’d love to hear your thoughts in the comments section below.